What I enjoy most about spring is watching my perennials reemerge. I welcome the return of color to the world and I like to see them thrive and fill with blooms as they get well established. I think of them as "mine" and when they come up, I feel reconnected with the earth. The sad part is that very few stay around as long as I would like, but as we move through the season, I have a series of favorites I look forward to. Right now, one of my favorites is blooming full force. 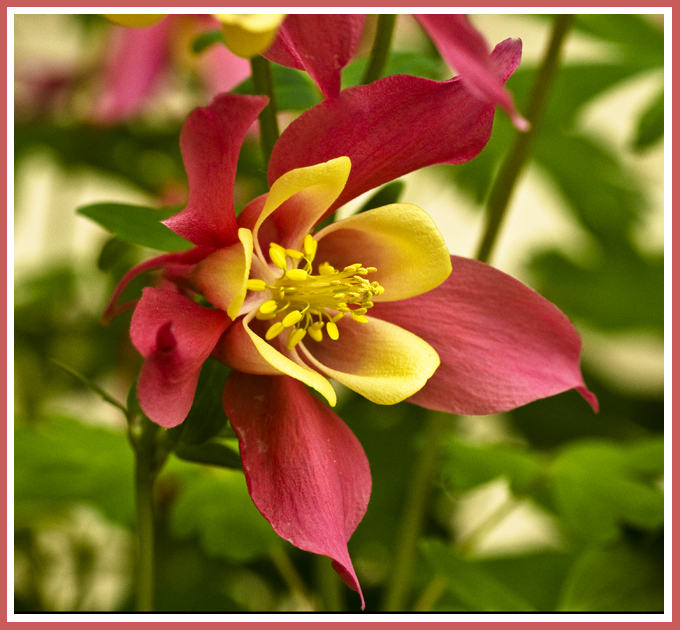 I absolutely LOVE columbine. They can be found in such a variety of colors and I love how they dangle at the end of slender stems. In PA, I primarily had purple columbines but here, I've been putting in more pink/red. They are exquisite and each day I go out to enjoy them. Like many spring flowers, the blooming season is too brief. I will miss them when they're gone. btw, still don't know how to get pics from camera onto computer, hence the lack of posting anything lately! Beautiful pictures, beautiful flowers. They look so proud of themselves. 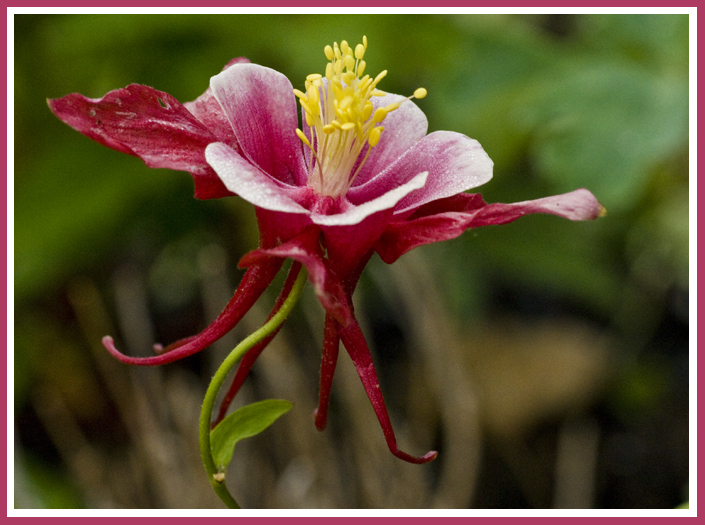 The thing about columbines is they have nice foliage, so even when they aren't blooming, they look great in the garden. And they self-seed, so you hardly ever have to worry about losing them. Beautiful Kat just beautiful and love, love, love the big photos. GORGEOUS photos! 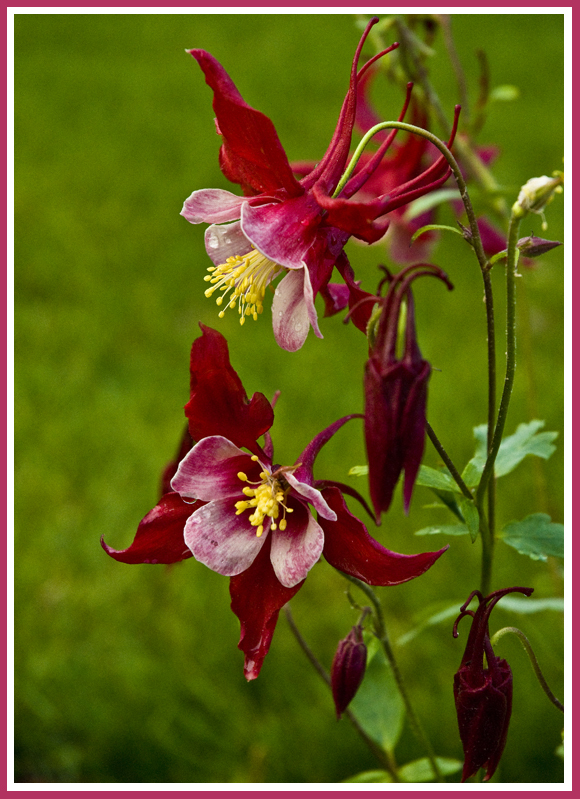 I miss columbines. They were abundant in Colorado (of course).